Finding the ultimate surf adventure in Costa Rica is easy to do. All you need is a brief outline of the different surf spots, a good idea of how to get there and some idea of when the waves are best. 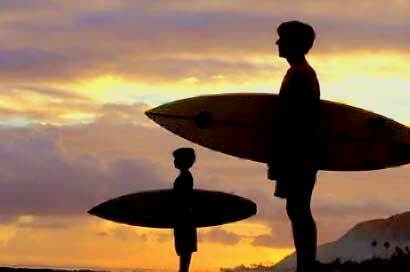 Costa Rica can be divided into 4 surf regions: Caribbean, North Pacific, Central Pacific and Southern Pacific. The Caribbean coastline has a defined surf season from January to March and from July to October. Strong storms in the Caribbean often send short but powerful swells crashing onto world class breaks. The Northern Pacific generally has good surf year round. The consistent “Papagayo” winds from December to March and the storms in the Northern Hemisphere create ideal waves. The Central Pacific is an exposed stretch of coast line many surfers regard as having the most consistent waves year round. The close access to San Jose, great restaurants and nightlife make this area ideal place to start a surf adventure. The South Pacific has a wide range of waves to choose from. Some of the best known spots like the famous point break called Pavones require a southern swell, usually from July to November. Costa Rica’s diversity and variety of surf spots make it possible to surf great waves all year long. The short travel distances and different regions provide surfers with the chance to explore beautiful Costa Rica and surf a wide variety of world class breaks. There are waves for every skill level and best of all; you will be surfing in warm water all year long. If you need information about surfing and vacation rentals in Costa Rica and the Jaco Beach area send us an email or give us a call.